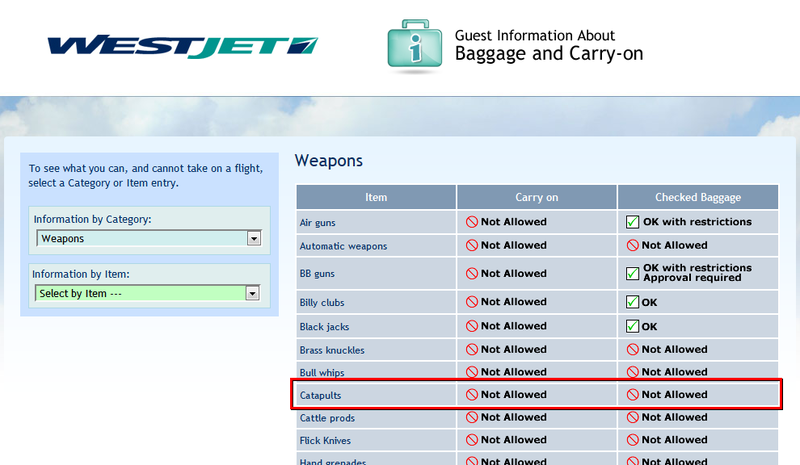 Now, why the hell would “catapults” even be on the list? Did WestJet have trouble with siege engines being brought on board in the past? Any catapult that could be carried onto a plane or packed into a suitcase would be little more than a toy; why couldn’t a person bring such a thing on-board via checked luggage? This entry was posted in Travel and tagged airline, westjet, westjet airlines. Bookmark the permalink.